Find a large range of contemporary Low Stools in various shapes and sizes, innovative stools of all sorts for use in relaxed surroundings in public spaces or at home. Our modern low stools are ideal seating solutions to let your thoughts run free. 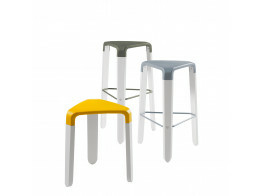 Low seating stools are perfect for cafes, breakout spaces, crossways, cafeterias or in bistro corners. 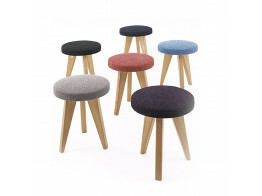 Apres Furniture offers a wide range of contemporary low stools, in various finishes and materials, whatever your requirements may be for low flexible seating you will be sure to find it here. 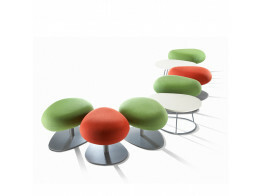 Allsorts ottas and tables is suitable for public, reception, retail, front of house, breakout and lounge areas. Puppa Footstool combines perfectly with the Oppo soft seating range. 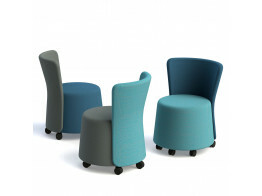 PM A11 Soft Seating can be placed height or widthways to provide two different stool sizes. Ramsey is part of the Away From The Desk Range, a low stool with backrest and castor wheels. 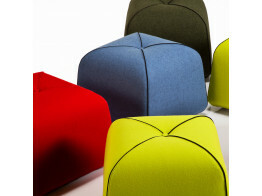 Bubble Low Stools inspired by sea-worn pebbles; a playful soft seat or footstool. 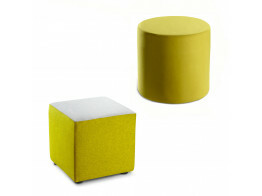 Cubix Stools are ideal for playful soft seating in office breakout spaces, libraries, lounges and receptions. Picapau Stools are available as a bar stool and low stool. With solid natural beech legs. Shug Low Stools are made with solid wood and quality upholstery for office breakout seating. 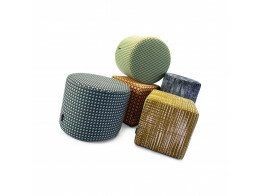 Suri Pouf is creative modern soft seating solution adding a touch of creativity to interiors.